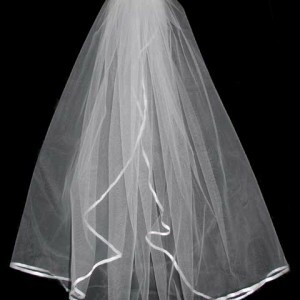 Double tier veil with a thin white edging. The attached comb ensures it can be securely easily inserted into hair. 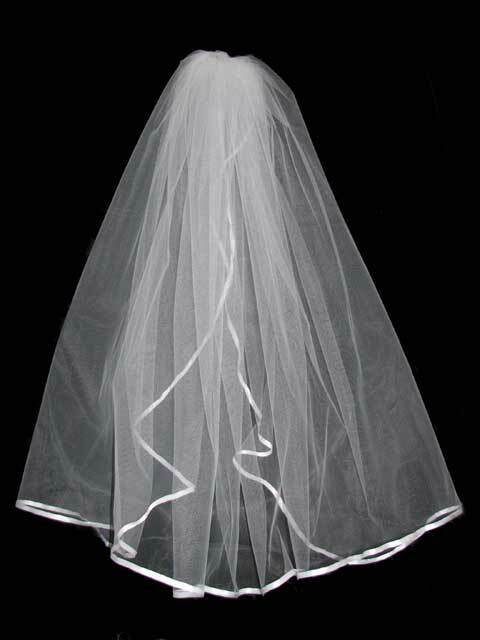 Materials: ribbon edge, plastic comb.